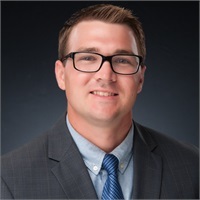 Chris Scott | Williams Wealth Management Group Inc.
Chris joined the Williams Wealth Management Group team in early 2018. He specializes in the Personal Financial Planning design and monitoring for the clients of the firm. Chris graduated from the University of Florida with a bachelor's degree in finance. A proud Gator fan, after graduation he spent two years with a boutique planning firm in Connecticut before moving back to Palmetto, Florida. Chris enjoys sports including soccer and golf.